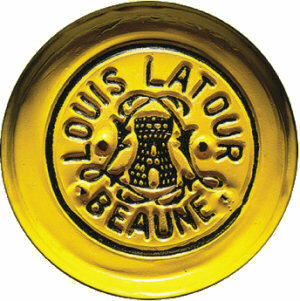 Large producer and négociant Louis Latour is one of Burgundy’s best-known names. Along with other major ‘négoce’ such as Louis Jadot, Joseph Drouhin and the house of Faiveley, the Latour name on a bottle is, for many people, one of only a handful of Burgundy ‘brands’ they might ever come across. Though it is a region composed of thousands of small growers and wine producers, the production of many of these is so tiny, and they have such a following for their wines, that allocations sell out immediately and the wines are rarely visible on the shelves. But Louis Latour’s handsomely packaged bottles are instantly recognisable: they grace so many restaurant and wine shop lists, making them and the other large négociant houses extremely important representatives of the region as a whole. And yet the négoce have not always been great ambassadors for Burgundy, pumping out large volumes of mediocre wine. Indeed I have been critical of some of Louis Latour’s entry level wines in the past, whilst at the same time being impressed by some of their Premier and Grand Cru wines, so it was good to pull together this snapshot of half a dozen of their more affordable to mid-range cuvées for this tasting. Like the co-operative cellars that are still so important throughout France, the négociants play a vital role for the small farmers and winemakers of Burgundy, buying both their grapes and their finished wines which they mature and blend to be sold under their own label. The négociants are as important to the rural economy of Burgundy as they are to the wine lists of the UK, so it is important that the wines they offer are up to scratch. To complicate matters further, many of the négoce also own estate vineyards up to and including the most prestigious Grand Cru holdings, and often there is little or nothing to differentiate an estate-grown wine from a négociant wine. Whilst it is true that wines from the big négociants rarely represent the apogee of Burgundy, the quality should be good and consistent overall. It is disappointing that this is not always the case, though to be fair, in recent years several under-performing companies have improved dramatically, like Albert Bichot and Bouchard Père et Fils (revamped when purchased by Champagne Henriot), Chanson (purchased by Bollinger in 1999) and Faiveley, also expanding their vineyard holdings and making wholesale improvements in the cellars. Nothing amongst this half dozen moderately-priced wines from Louis Latour sets the heather on fire, but the quality is sound, availability easy, and overall these wines can be commended as good examples of their relatively modest appellations. Home to Chardonnay whites as well as the more frequently seen Pinot Noir reds, Beaune is both a village appellation and the large town that is the epicentre of the Burgundy wine industry. Clear and fresh on the nose, the little nuances of oatmeal and acacia honey just add some richness to straightforward citrus and apple fruit. On the palate the subtle oak supports with some very discreet toast and vanilla, but again it is that racy core of cool white fruit that drives this. A fairly big wine in terms of structure and alcohol (13.5% ABV) but really rather elegant too. 89/100. £19.35, Slurp.co.uk.